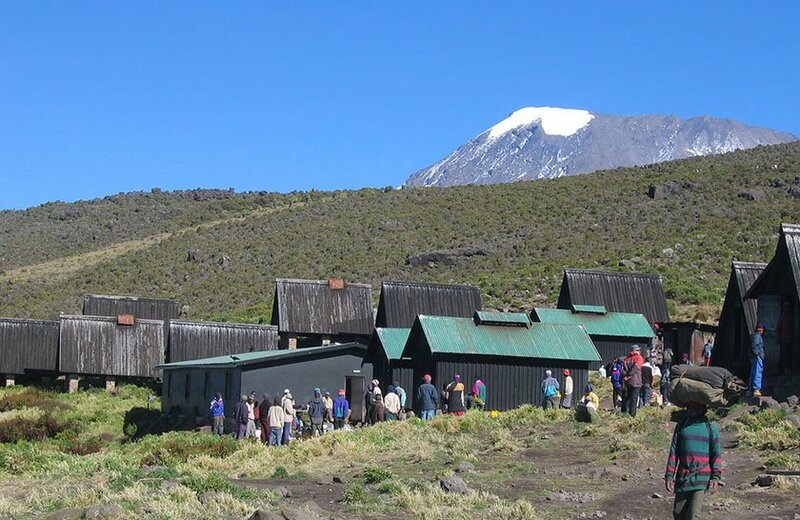 After breakfast you depart by vehicle to Kilimanjaro. 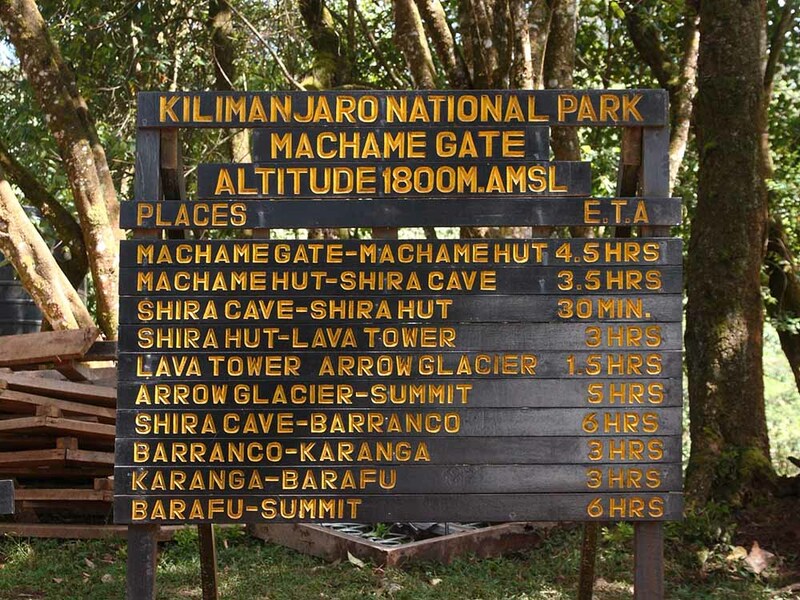 At the gate your crew finalizes packing and after finishing with formalities you start of from Machame gate. 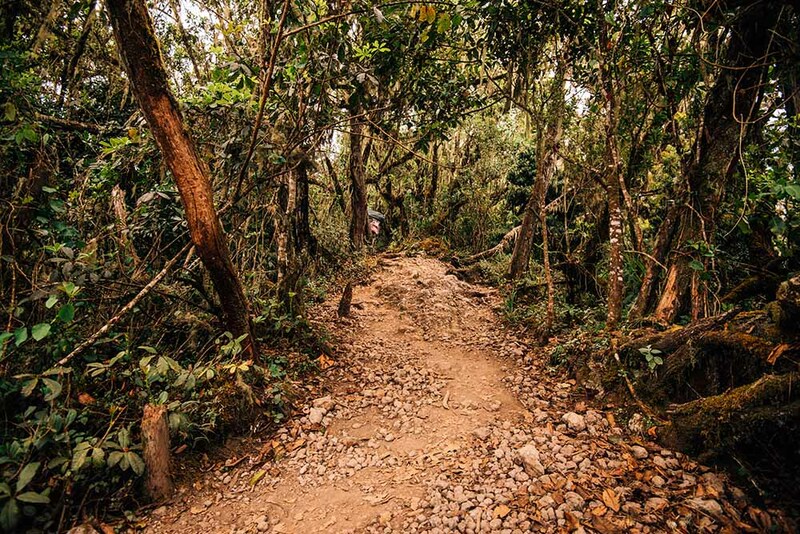 Today’s hiking is through verdant afro-montane forest to Machame camp and on route you have a picnic lunch. Look out for pretty endemic flora and a graduation of forest zones! 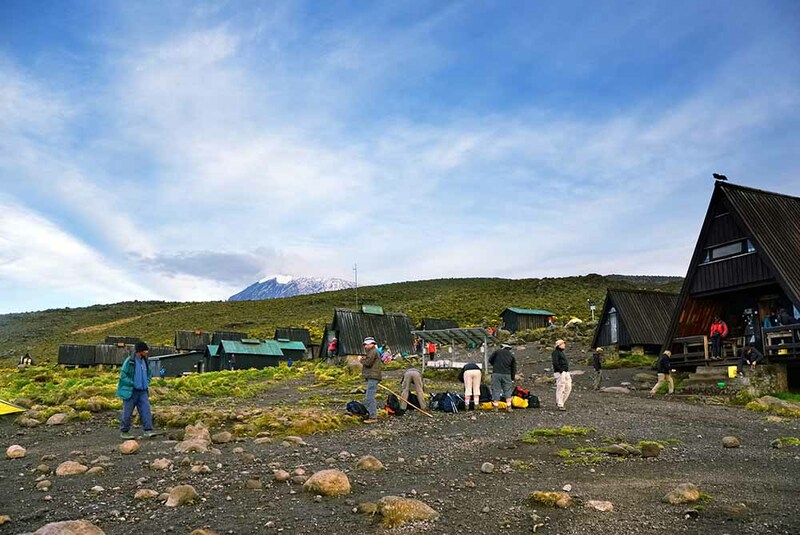 Overnight Machame Camp (full board). Today is a walk high sleep low day. You ascend into alpine desert and for those that are feeling strong you can even head up to Lava Tower before descending to Barranco camp. Lunch is taken as a picnic lunch on route. This is long day but pays dividends later on – great acclimatization day! Overnight Barranco Camp (full board). 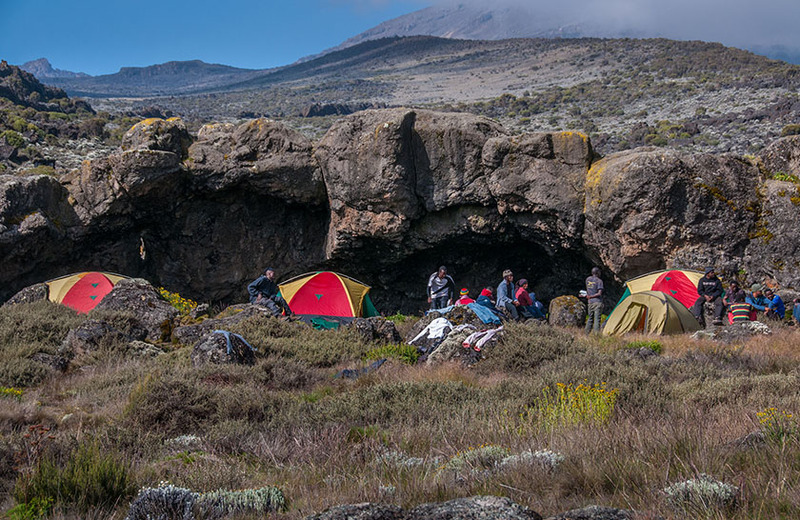 From Barranco camp, famous for its’ giant groundsels (Senecio species), you ascend the Barranco wall and hike glacial valleys to Karanga camp. Lunch is taken at Karanga valley before heading to Barafu in the afternoon. 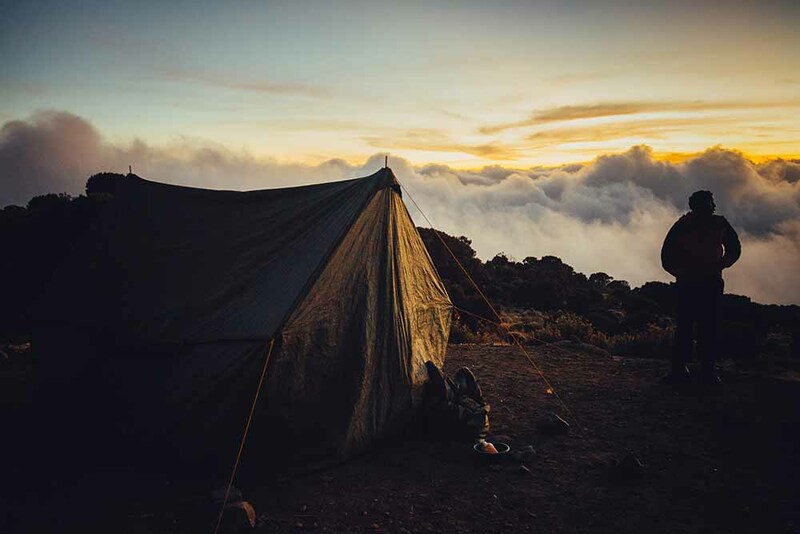 Desolate alpine desert and at times strong winds rip over this camp and yet in the evening slendid views of Mawenzi peak are the norm. A relatively early dinner is taken before heading to rest for the evening. Overnight Barafu Camp (full board). Most people depart just before midnight for the final summit bid. Patience and persistence is the name of game to reach the summit and by dawn as the first rays of light start to appear, most arrive near the rim. 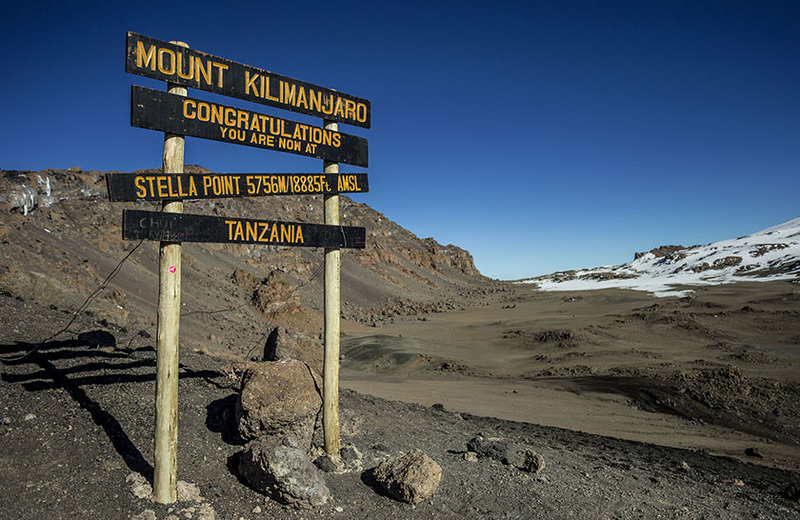 Ascending via Stella Point affords a relatively short final section to Uhuru peak, the Roof of Africa! 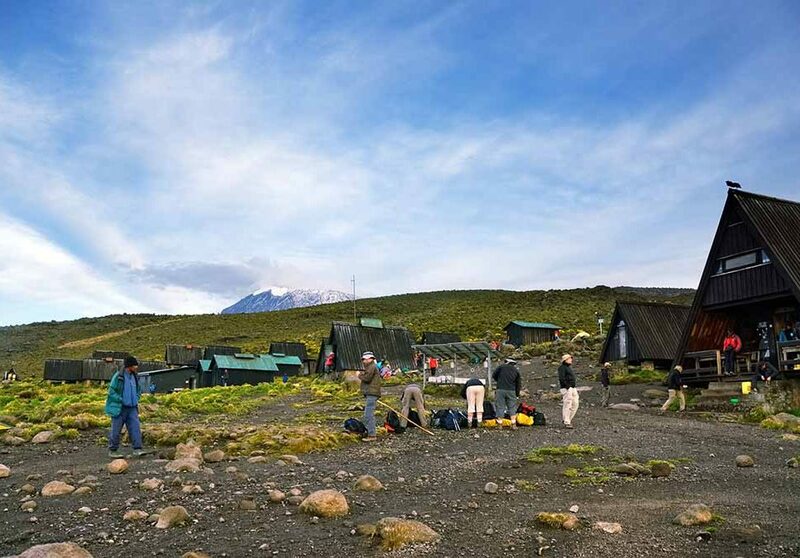 What goes up must come down and your goal today is to reach Mweka camp before dusk. Overnight Mweka Camp (full board). 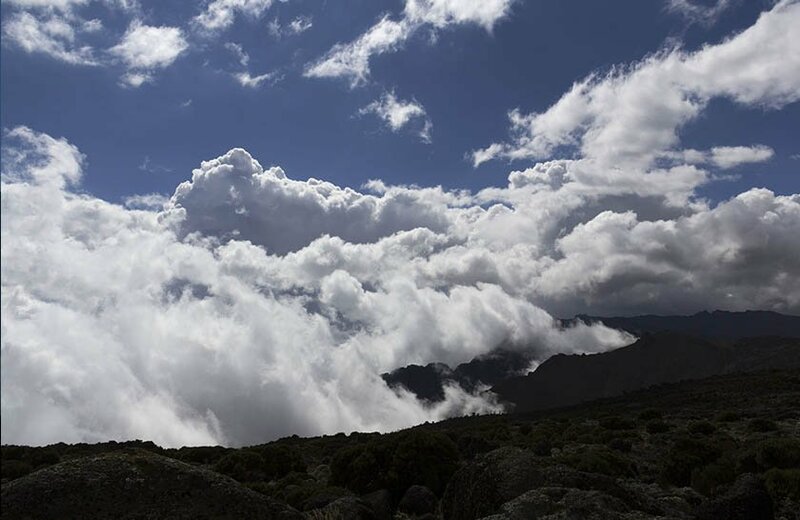 A final descent of 4,500 ft brings you down to Mweka Gate where your team will have prepared another scrumptious and fresh lunch and your transfer vehicles will be waiting to collect you. Here you will say goodbye to our mountain staff before heading to the hotel near Arusha for a farewell dinner and either overnight or a day room and departure. Extend your Tanzanian vacation with True Travel Tanzania on safari, walking safari or other adventures.